Dr Hampe grew up in Pittsburgh Pa. and earned his dental degree (D.M.D.) from the University of Pittsburgh in 1988 after a BS with honors in biology from Florida Institute of Technology. 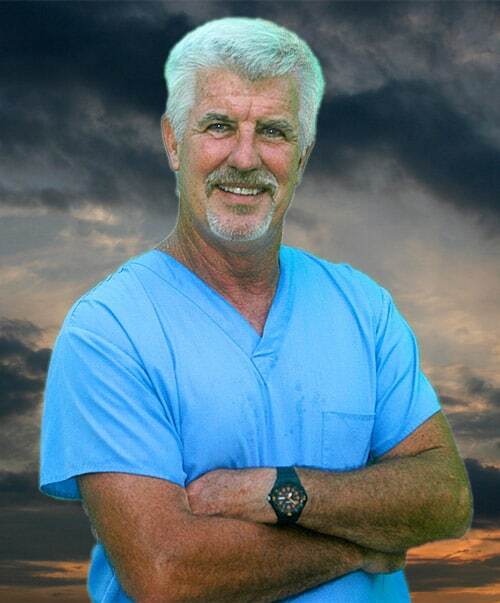 He has been practicing general dentistry in Florida since 1990. Dr. Hampe’s professional interests and expertise include oral surgery as well as cosmetic and restorative dentistry. Dr. Hampe is an avid outdoorsman and an expert photographer of Florida wildlife. It would not be unusual to find him at dusk trying to catch fledgling owls taking off for the evening or at dawn in the Green Swamp photographing nesting bald eagles while keeping a sharp eye out for gators. Dr. Hampe is also an enthusiastic and skilled artisan and craftsman. Putting his attention to detail and digital skills to use, working primarily in hardwood, he has created numerous many finely detailed wood sculptures worthy of exhibition.